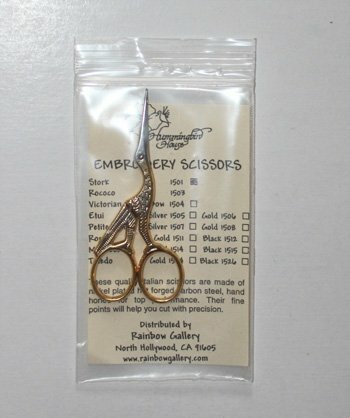 A great pair of scissors for needlepoint and embroidery. These scissors are nickel plated carbon steel for top performance and are a beautiful addition to your tools. A sharp point and short handles for easy maneuverability.